Like so many other Iowa State aerospace engineering graduates, Richard Schmidgall began his career with the U.S. space program at Johnson Space Center in Houston, Texas – and never left. 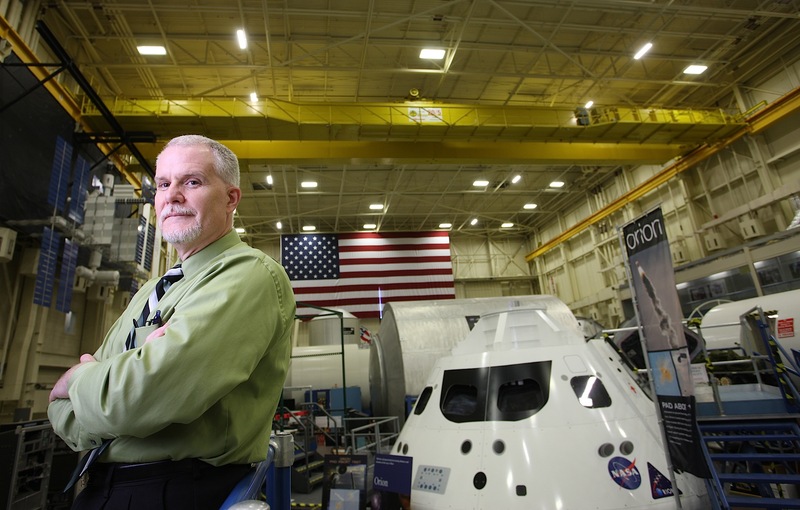 The 1983 grad from Mackinaw, Ill., was first employed by McDonnell Douglas and Rockwell Space Operations, both NASA contractors, before going to work directly for NASA in 1989. And until May 2011 he spent his entire career supporting the Space Shuttle program, working on trajectory abort design and later becoming the lead engineer for ascent flights on the Shuttle and deputy manager for the Space Shuttle Systems and Integration Office. Richard said that being placed in a lead role after the Challenger accident while still early in his career is a source of pride. Currently, Richard is the assistant manager and contracting officer technical representative for the Orion program. Orion is NASA’s next major crew vehicle for exploration. The vehicle will be responsible for routine flights to the International Space Station as well as eventually returning to the Moon, exploring near-Earth asteroids, and – someday – Mars. Missions are targeted for 2014, 2017, and 2020.